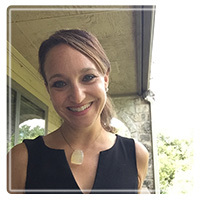 Austin Therapist: Anna McElearney - Therapist 78759. Send A Message To Anna. If you're looking for a marriage counselor or couples therapist, you've come to the right place. As a Licensed Marriage and Family Therapist and Licensed Professional Counselor, I specialize in working with couples and have dedicated my practice to helping couples have the relationship they both desire. I help couples find that spark that once brought them together and help them become friends again. Many couples I work with are struggling with distance in their relationship. Struggling with wanting to connect and communicate with each other but don't know how. Many are stuck in patterns of communicating where one partner shuts down or leaves in the middle of a discussion or argument while the other continues to try and have their concerns heard. I also work with couples that are struggling with painful emotions caused by betrayal or infidelity. Many might be trying to decide whether to stay or leave their relationship. When you're stuck in what seems like the same communication patterns, the same behavioral patterns, it can feel overwhelming and frustrating. Causing many couples to begin losing hope that things can or will ever change. Change is possible. Through our work together, we will get to the heart of continuous negative patterns in your relationship and move into deeper conversations that can have the power to rebuild marriages and relationships. When trust has been betrayed. When spouses criticize and blame each other. When spouses lessen or dismiss each other's concerns. When spouses "take the side of someone else" instead of each other. When a spouse threatens to leave the relationship. When a spouse feels like they aren't a priority. When relationships with in-laws or other family members, work acquaintances, or friends are straining your relationship. If you'd like more information about how I can help, I recommend visiting my website. There you will find relationship articles I've written in addition to more detailed information on how I can help you. Please don't wait any longer to get the help you're looking for. Contact me today.